Philippe Charbonneaux is credited with the design of this car which was in production from 1965 to 1980. Its main claim to fame is related to its innovative deployment of a hatchback in the middle-to-large sized car class. At that point there developed a marked fork in the road in car design. Some manufacturers followed this path, those makers most like Renault. And another group resolutely insisted on using the classic format of four doors and rear drive, insisting that only this formula was acceptable for a “proper” car. Thus what had previously been a class distinction based on engine sizes and degrees of quality of fit and finish was further deepened by the decision of some to follow Renault and opt for hatchbacks along with front drive. 1965 Renault 16: the avant-garde. Some prestige manufacturers even made tentative moves down this path (the Rover SD1) and there was the short lived BMW 2002 Touring. By and to some degree large, hatchbacks became mandatory in the medium and small class of cars and the prestige manufacturers repeated they’d never touch them. Jaguar steered clear as did Audi, BMW and Mercedes. 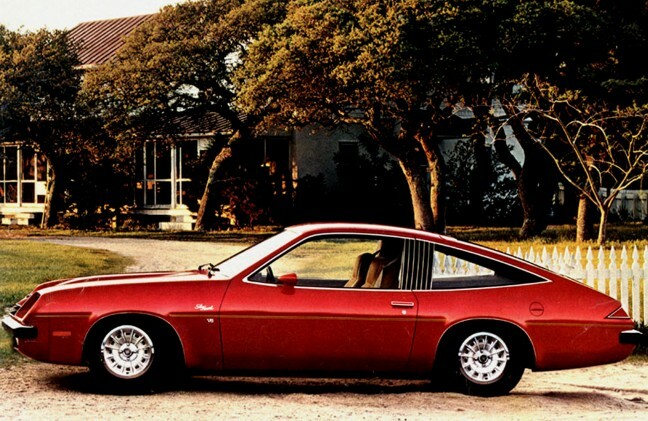 In the US, Cadillac and Buick also resisted the urge though at the flimsier end of the scale there was a Buick hatchback, the smallish Skyhawk which resembles an Opel Manta (which itself wasn’t a hatchback at that stage). That fork in the road is what we are remembering here as well as the lovely forms of the 16. Fifty years on from Renault’s launch of the 16 the roads have crossed each other. Having grown to dominate their original sectors, BMW, Audi and Mercedes have extended downwards into the sector where hatchbacks from volume makers once ruled the roost: Ford, Opel, Citroen, Renault. First to die off were large hatchbacks. Rover’s SD1 was an experiment that lasted two model cycles (long ones owing to the firm’s ill health). The Citroen XM and Renault Vel Satis were the last of their kind. Opel never bothered with a large hatchback but Ford did and their Scorpio died first, as a saloon based on what was originally a hatch. Attacking primarily as saloons, the prestige makers have winnowed down the middle-class, middle-size volume saloon and have embarked upon a pincer movement by copying the concept they rejected in the 60s: Audi, BMW and Mercedes all offer a front-drive, five door lower medium sized car. Renault in contrast doesn’t seem to be so visible in the class it created. The Laguna is an old stager; their large car is made in cooperation with Samsung and I am sure I see more 90s Megane’s and 19s around where I live than the more recent models. I´ll turn directly to the Renault 16 itself to note that it’s still a thing of demonstrable beauty. The razor-edge creases that run over the cant rails and down the sides at the rear are superb details. I like the way the rear window is recessed with a hollow chamfer running around it. The grille is distinctive without being a copy of some trad bourge-mobile. The 16 has a superb package: all that space in that comparatively small body shows how front-drive and five doors really do offer a host of advantages. I’ve not driven one but those I have seen cantering around seem to have a lovely gait. I only wish Renault had made the cars of stronger stuff. There are none listed at mobile.de or autoscout24 at the moment. None. If you want to find one you need to dig deep into the small ads end of the internet: Google Renault 16 zu verkaufen. By comparison there are 103 Ford Tauni on sale. This exemplifies Renault’s peculiarly consistent trait, that they just don’t make cars people want to or can hold on to. While a fair amount of their output has been mediocre, the 16 is a landmark but one that has been made out of Alka-Seltzer. As a result of this, though I admire many of their cars, I would never seriously consider investing in one. Citroen, yes; Peugeot, yes but Renault, no. Think on that, Reg. Well spotted. I had utterly forgotten that…. what year? 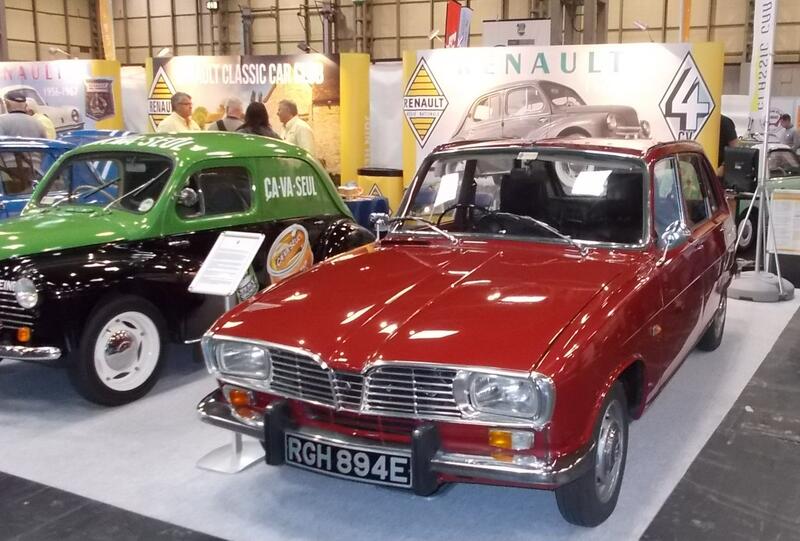 There were (apparently, though I haven’t seen them all) 62 Renault 16s taxed in the UK, against 74 ten years ago. Coincidentally, there were 62 Citroen SMs taxed last year too, against 51 ten years ago. I remember getting a lift in a 16 sometime in the 70s and it was a supremely comfortable car. It also looks, to my eyes, much better now than it did when new. Note the lack of roof gutters allowed by that roof design. The only downside in my eyes was that Renault produced an ad showing the large number of configurations available by fiddling with the seats but, since the rear seat back hinged at the top not the bottom (presumably to give stiffness to the hatchback) you couldn’t actually treat it like an estate car. Looking at the UK Renault 16 Forum, it seems a Renault 16 comes up for sale on average once a year. These mostly seem to be described as ‘not running for several years’. Perhaps it’s always the same one. To be more positive, I saw a very nice looking 16TX in Austria last year. How about the Skoda Superb? The Skoda is a great package and for that I salute its odd shape. I´ve sat in one too. The rear compartment is huge with fabulous legroom. It is a large hatchback but it isn´t from a “prestige” maker. Skoda have cleverly spotted that some people do want a large hatchback and are there mopping up sales with their five-door format and the legroom as sales propositions. I´d guess to steal their customers someone from Renault or who exactly would have to offer an even larger boot, even more legroom or somehow match those numbers with a better looking, better made and cheaper car. Clever old Skoda. That special niche is why VAG lets them offer so much for the money. They know the design snobs will hate the looks (ruling out Audi) and badge snobs will be forced into a Passat. This VAG sales are not cannibalised but I bet those who buy this excellent car would once have bought a large Peugeot, Renault, Citroen, Ford or Opel. Maybe even a few forlorn Saab 9000 owners are accepting that Skoda is offering a modern version of what they loved about the 9000 all those years ago. Still, good example as it tests the rule! I very much doubt the hatch is what clinches sales in the case of the Skoda. Just like with the first generation (a stretched Passat i.e. a saloon), it’s the amount of car for the money that’s the real USP. In fact VAG must have concluded that it will sell just as many if not more without the hatch as they are getting rid of it for the 3rd gen.
Good news. While earlier reports led me to believe* that Skoda was going to abandon the hatch on the 3rd generation Superb, they have actually kept it – albeit without the two-stage opening of the current model. Now why anyone could possibly want a hatch on a three-box saloon is still beyond me. I’m not even sure I can say it’s a nice touch on the new model. *or maybe I just misread; either way, sorry for the confusion. What you said about Skoda above is very true, Richard. However, what Sam says above, as well as the rather ordinary facelift to the Yeti recently, suggests that Skoda are losing those little quirky touches that make them attractive to buyers. Yeah, good point. It’s the same with the new Fabia, the estate in particular. Skoda’s styling really has suffered since Thomas Ingenlath’s departure. Whereas the Czechs used to stand for a family-orientated, non-aggressive product (a unique selling proposition in this day and age), the Skodas unveiled since Jozef Kaban took the reigns have reverted to a more conventional image of sharpness and what is thought to be dynamism. As Seat is doing that kind of thing much more satisfactorily – or at least the current Leon, which I find surprisingly pleasing – I wonder what exactly Skoda is aiming for. I think it isn’t only about styling (if I use “styling” as representing looks) but more about packaging. The Fabia estate actually has less passenger and luggage space than its predecessor. On the other hand, it reminded me of 80s and 90s Audi. Neat, “dynamic” yet unaggressive, slender… Maybe that’s a niche Audi’s left for good and Skoda is trying to conquer now. That´s a real step backwards, isn´t it? Can´t someone make a practical car without feeling shame. For all the criticisms of Volvo´s sensible cars they made money and the owners loved them. I don´t think anyone loves Volvo now. And I like Skoda a little bit less as a result of their attempts to become attractive. Just bought a barnfind 16TS as a retirement project and so far it owes me about $5k AUD – someone told me recently that there is a ‘nice’ one for sale in Sydney for $7.5k, which leads me to believe I am on the right track here (considering mine is already better than ‘nice’). Haven’t seen one on the road for decades so am looking forward to constantly improving my very rare 16TS, and as the current custodian I expect to pass it on to another 16 devotee at some time in the future. Good luck with the restoration Dave. As encouragement, here’s a nice TX I saw up the top of the Grossglockner in Austria a couple of years ago. Enjoy your 16, Dave. If you have photos we’d happily post them here. When I think of the competition: Ford Cortinas, Vauxhall Victors and so on, the 16 is the one I’d want to drive. Have you read our slightly unreliable R16 review by Archie Vicar? G’day Richard – can you let me know how to post photos on this forum please? Hi Dave: posting photos is a real chore. I’ve no idea how to do it despite clear instructions from clever commenters here. I will ask Simon Kearne to advise. Thanks for your patience. Did you find the Archie Vicar article? yeah I did m8 – interesting reading !! My dear Dave. If the image is off the Web, you can cut and paste the link into your comment. If it is your own image, you can mail it to me and I will add it to your comment (I shall be as quick as I can, but the DTW pay is such that I am having to moonlight). My brother bought a new 16TS in Australia in 1972 and had it for about 10 years. In recent years I have lusted after one; a TX would be nice but they were never sold in Australia. I remember it as the most comfortable thing on four wheels and light years ahead of the local Holden, Ford or Chrysler offerings of the time. To me it is a thing of beauty, though I acknowledge it`s a bit like the love of your life; not to everyone`s taste but you adore it anyway. Thanks for stopping by Andrew. The 16 might well have been the best car Renault ever made. Apart from the R5, it’s debatable they did anything as clever again. PS: I forgot to mention I had an R10 at university. Loved that car as well; it ate the 1,100km trip from Sydney to my hometown in the outback. Strictly speaking Richard, given its gestation, I think it’s debatable whether to call the original Espace a Renault. I’d nominate the R4. It started the line of modern Renault passenger cars, albeit with strong influence from a mid-’30s Citroën, and an eye to how things were being done in Bremen. The R16 is, in essence, a bigger, more powerful, rather overstyled R4. It’s very much a Mini/BMC 1800 relationship. In both cases the bigger car shared nothing but rigorously applied engineering principles with their smaller range-mates. I wouldn’t presume to judge which was the better car. Since the Renault outsold the 1800/2200 by a factor of five to one, I’ll happily abide by the judgement and conscience of the paying public, in this case at least. Andrew B: thanks for stopping by. I wasn’t aware the R10 made it to Australia. How were these cars viewed? They are so very different compared to my idea of the Australian norm. Eoin: Renault at least made the car. How about the Scenic? 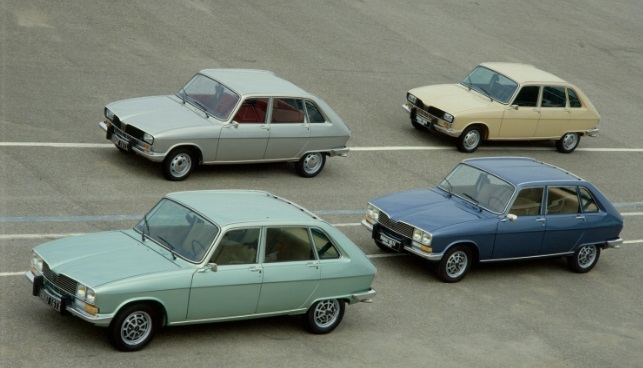 Were larger 1800-2000cc engines ever considered for the Renault 16 over its production run? Bob: I have little doubt that Renault engineers had plans for more powerful engines, after all, engineers are always several steps ahead of those holding the purse strings. However it’s telling that it wasn’t until the advent of the so-called Douvrin 2.0 litre unit in the latter-’70s that we saw a production Renault with anything larger than the 16 TX’s 1647cc unit – namely the R20 TS. (I’m excluding the 30 here as it was a more upmarket car). If Renault had been serious about exporting to the US, things might have been different, but it does appear their ambitions with the R16 were somewhat half-hearted. Not that the 16 would have appealed to US tastes much anyway, I’d suggest. It’s also worth thinking about the stratification within the French market during the ’60s. The 16 fitted into a sector where neither of its rivals directly competed. Peugeot’s 404 was a similar size and (possibly) price, but appealed to a more conservative customer. Citroen’s DS was available in the cheaper and less powerful ID specification, but this again, appealed to a the more adventurous and I imagine sat in a higher tax bracket. The latter factor is perhaps the pivot point here. That and any gentleman’s agreement that may have existed between the three protagonists to avoid directly stepping on one another’s toes. Renault didn´t have any interest in real performance models and nor did Citroen or Peugeot until, maybe the 70s. I don´t have the bhp figures for the 16; I´d guess that the output of the 1.6 covered the demands of that size and weight of car sufficiently. Larger engines in smaller cars could be said to be the province of people like BMW, Lancia and Alfa Romeo. Was not thinking of making the Renault 16 into a performance model (otherwise would have easily suggested the early turbocharged versions of the 1.6-litre A-Type engine later used in the Renault 18 and Fuego), rather was thinking in terms of larger engined models selling well outside of France without the tax penalties based on engine size as well as the torque benefits of the Renault 16 having a larger engine. Not sure whether the 2-litre Douvrin engine would have fitted though it is worth mentioning that both Renault and Peugeot were allegedly said to be interested in collaborating / merging as early as the mid/late-60s (possibly via the French government), while it is difficult to know how much further the A-Type engine was capable of being stretched upwards. Such as engine with the same 84 mm bore / stroke comes to 1862cc, yet a 1774cc unit with a 82 mm bore / 84 mm stroke might have possibly been more feasible unless there was indeed more stretch available to make the 2-litre Douvrin redundant. Fascinating that Renault also looked at Renault 16-based 4-door 3-box saloon along with 2-door coupe / cabriolet bodystyles. Based on the history of the A-Type 4-cylinder, it seems the 6-cylinder engine could have potentially displaced around 2205-2470cc, with potential for further enlargement to 2661-2793cc (via the hypothetical 1774-1862 A-Type 4-cylinder engines) and even turbocharged variants. Slightly off topic though possibility related to the A-Type engine is the discovery that a (albeit racing spec) 1470cc version of the engine may have found its way into the the Renault 8 Gordini, leading to the question of whether a road spec 1.5-1.6 A-Type engine could have easily fitted into say a Renault 10 (notwithstanding the Renault 16)? Bob: that’s quite a trove of information. Presumably Renault opted to pool costs and ended up with the Douvrin V6 instead. That didn’t end well. The impression one gets is after the Renault 114 project, the later PRV V6 was an afterthought given its origins as a V8 prior to the fuel crisis though unsure if the 6-cylinder A-Type was considered for other projects such as the V8 powered Renault 140 project (aka Renault H Project apparently co-developed with Peugeot though though not sure whether it was limited to the V8 or if the H Project was connected to the Peugeot 604) . In a way the Renault A-Type 4/6-cylinder, Douvrin 4-cylinder and PRV V6/V8 engines do not appear to overlap with each other too much if at all yet unsure how they would have been able to pair the A-Type 6-cylinder with FWD. Bob: the V8 got cut down to a V6 and the small V6s scrapped. In the light of performance improvement, to desist from making small V6s makes sense and was the right thing to do. From a European perspective V8s didn’t fit in with the typical size of cars or petrol prices. That said, BMW created a good image with its 2.0 litre six strategy for the 3 even if many chose 1.8 litre fours and 1.6 litre fours. The A-Type Inline-6 would at most probably put out a figure closer to 150 hp in 2470cc form, that is without even mentioning turbochargers, further enlargement or tuning by Alpine / Gordini. 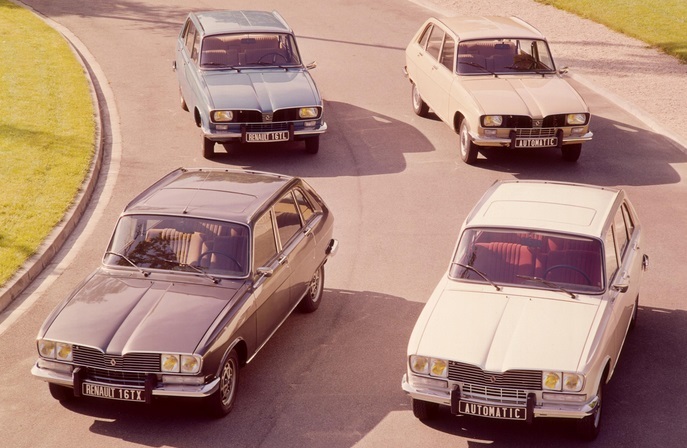 Since it would have likely appeared in the early/mid-1960s had the Renault 114 project reached production, the A-Type inline-6 would still probably been have replaced by the PRV V6 from the mid-1970s. Perhaps the A-Type Inline-6 might have found its way into the Renault 16 assuming it was feasible, thereby creating a French equivalent of the Austin 1800/2200. 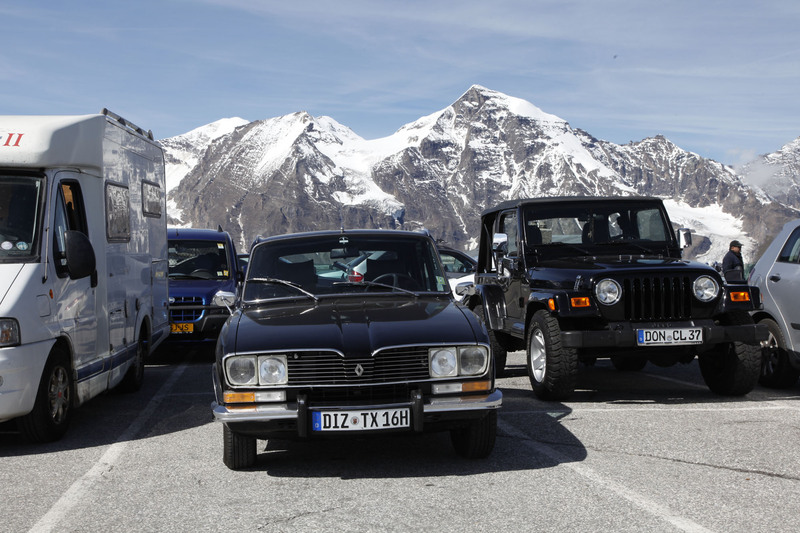 Understand why the PRV V8 was scrapped, nevertheless both the Renault 140 “H” project and Peugeot 604 could have benefited from using the V8 in the US market, not forgetting of course the RWD Peugeot 504 and Peugeot 505 or even Alpine. Bob: an open question – is a V8 not simply too big a lump for a 1500 kg car? The 604 weighed that much with a V6 anyway. But maybe there were USican cars sized like a 604 with V8s. My impression is that the 604 and its friends needed a V6 which was about 15% more powerful so in my little world that could be achieved by efficiency improvements and another 200cc. Period reviews from the US alleged the 604 needed more power though they seem to say that about every car, don’t they? One could argue on whether a V8 is necessary for cars like the Peugeot 604, it certainly did not hurt the Rover SD1 notwithstanding the fuel crises and it seems the lack of a V8 did hurt sales of large French cars in the US to some extent. There was additionally the Opel Diplomat and Vauxhall’s own efforts to utilize V8 engines whether Slant-4 derived or from Holden for the Ventora. There is also the fact that Peugeot was once the French equivalent of Mercedes-Benz prior to WW2 and with the post-war fall of France’s luxury carmakers including Facel Vega, it was likely a matter of pride for France carmakers to look at V8 engines for their flagship cars when the fuel crisis hit and forced them to develop the PRV V6. That is not to said Renault and Peugeot should have continued developing V8 powered cars, given the trend of larger cars becoming FWD it may have challenging to continuing using the PRV V8 despite other carmakers proving it is doable. Bob: point counterpoint. The 604 matches the W-123 which never had a V-8 but had more powerful 6s. And the Rover is an oddity in its class, I think. The V8 didn’t hurt it but probably made little difference overall. So, I think a L4 and some kind of 6 was what was needed in the upper middle class. Would agree if the V6 was at a more natural 60-degree V6 angle like the later V6 ESL used by both PSA and Renault, however IMHO both Peugeot and Renault would have been better off using the PRV V8 and further developing the A-Type Inline-6 instead of creating a last-minute V6 at an unnatural 90-degree angle. It seems that Renault did look at V6 and V8 engines as early as 1958 onwards (with the possible involvement of Gordini), while Peugeot were looking a V8 (plus it seems hydraulic suspension) for what eventually became the Peugeot 404 and that is not forgetting Citroen’s own efforts at developing in-house or Maserati-based V6/V8 engines (albeit both 90-degrees with the V6 being using for the Citroen SM and the V8 prototype unit later tested in a SM). It would be interesting if an Inline-6 version of the 2.0-2.2 Douvrin 4-cylinder was considered, let alone smaller 1.8 versions of the Douvrin 4-cylinder to fill in the gap between the 1.6-1.65 A-Type and the 2.0 Douvrin. Interestingly five door hatchbacks are making a come back in the high end spectrum. Audi has their A5 hatchback version of their A4 sedan, and the A7 is a hatchback made out of both A6 and A8 parts. Over at BMW they have a five door hatchack of their 3-series sedan, called the 4-series gran coupe. And they had to put it in the 4-series amongst the rest of the coupes because by god, someone could think it was a hatchback. And over at Aston Martin they have a five door hatchback in their Rapide. It seems hatchbacks are really ok as long as they are premium offerings. Isn’t that richly ironic? After five decades sneering at front wheel drive and hatchback, BMW gives us the 2-series Active Blob. And Mercedes are selling lots of A-class hatchbacks too. Renault on the other hand struggle to sell a saloon of any type. My 2017 has not been without achievements, albeit modest. I have visited North Rhine-Westphalia’s supposedly non-existent city, and I have seen a very much extant Renault 16. Bielefeld is a place I see on roadsigns. Unlike Prum I have not been there. Bob: the 604 needed a decent six; in all likelihood small sixes for the cars under that class would have been nice but a dead end. It seems power output per cylinder caught up with the six at around 2.0 litres and fuel costs attacked from the other end; plus with most Euro cars being front drive (the trend from the 60s onwards a big lump in the front came with handling drawbacks. Not disagreeing with you there on the need for the 604 to have a decent 6-cylinder at minimum, am merely bringing up the fact that the PRV V6 was unfortunately an engine comprised by its true origins as a V8. Nor am I suggesting that the A-Type inline-6 should have powered the Peugeot 604 (rather it would be limited to Renault), not sure what Peugeot could have done to develop a decent 6-cylinder alternative to the PRV V6. What is known is that Peugeot did look at a V8 for what became the Peugeot 404, yet AFAIK Peugeot did not appear to look at any 6-cylinder projects prior to the V8-derived PRV V6. To be fair Peugeot did manage to hold out with its RWD cars at the upper end of the range until the late-80s / early-90s with the 604 and 505. A big question is how long Renault would have held out with RWD cars like the 114 and H projects, however it is interesting to note that the RWD Chrysler 300 platform originates to the Renault 25-derived Eagle Premier (formerly developed for AMC) and could be converted to both FWD and RWD. While Inline-6 FWD cars would likely be difficult if not entirely impossible (aside from a few exceptions here and there), V6 or even V8 FWD cars are not that unusual. Bob: indeed, the V6 Peugeot ended up with didn’t do the job and, sure enough went up to 2.8 litres in later versions of the car (when no-one cared). That said, I have driven an early one and at least today, the engine performance is Rolls Royce adequate. And the rest of the car is very pleasant. Neither Ford nor Opel’s entrants are quite so delightful. They are better in ways but not nicer. GM and Ford. I’ll leave more learned people to suggest a FWD V8 apart from Audi’s 1989 contender and its descendents. There’s a wierd Passat with a W8 isn’t there? And some Phaetons. Any others? That may be the case, however am biased towards the unmade V8 on the basis the engine existed and the RWD platforms for it and other RWD French cars made it a realistic possibility. Would it have made a huge improvement? who knows. It is my limited understanding the V8 would not have been able to grow much beyond 4-litres (though could be wrong via the Douvrin diesel) and that the V8 could have been significantly reduced in size if necessary. There was the Lancia Thema 8.32 as well as the related Saab 9000, which was apparently tested with a 4-litre Saab V8 distantly related to the Triumph V8. While the Citroen-based Maserati Quattroporte II was to be powered by a 4-litre V8 when Citroen suddenly became bankrupt, with the V8 being tested in a Citroen SM. It is possible France’s carmakers would follow the example of the later 2nd gen Volvo S80 V8 and Audi’s V8 saloon models by adopting AWD for their flagship FWD models such as the Peugeot 605, Citroen XM and Renault Safrane. It is somewhat easy to envision a PRV V8 Renault Safrane for example using AWD based on the PRV V6 Renault Safrane Biturbo that also used AWD, though by that point cannot see the PRV V8 lasting beyond the late-1990s. The Passat W8 always had four wheel drive as had the V8s from Audi. There’s no such thing as a fwd-only Audi V8. I am old enough to remember the PRV V6 from the time it was new. The engine was not overly powerful (look at BMW’s 2.8 for comparison, which had 170 hp in carburetted form) which did not distance it enough from the larger Douvrin fours, quite uncultivated for a six and it was thirsty compared to the little power it had. What killed its reputation was the carburettor system with a single choke unit hanging on the throttle cable and a twin choke with a combination of vacuum and rod activation. As usual, the dealers couldn’t be bothered with reading the service instructions for properly tuning this setup which inevitably resulted in unsatisfactory power delivery and even greater thirst combined with horrible cold running characteristics. The PRV was converted to injection but it was too late as the reputation was already damaged. It took them ages to develop a crankshaft with stepped crank pinks to get an even firing order, which finally cured the rough running characteristics. At least they gave the world the 24V version with a balancer shaft in the head and tappets made from soft ice. The idea of a 2.2-2.4 litre straight six in an enlarged Renault 16 is oddly appealing, after all the car was far more of a spiritual successor to the Traction Avant than anything Citroën made in the years following its demise. Is the opprobrium being heaped on the PRV V6 deserved? In its pomp it was regarded as the wonder engine of its time for its compactness and power to weight ratio. I suspect that the French and Swedes had a damn good look at the Buick 215 engine and maybe procured a few to expedite development. The Renault 30 is a formidable thing too – the State Carmaker’s successful bid to seduce the populace into big cars, and a challenge to underfunded Audi-NSU, whose masters couldn’t afford the lightweight V6 the 100 needed to challenge Daimler and BMW. It would also be more like a better executed French Austin 1800/2200 with the 2.2-2.5 A-Type Inline-6, wonder as well if there was enough room in the Renault 16 for a reduced 2.0-2.3-litre PRV V6 later on (despite its flaws)? It would have been interesting to find out whether Volkswagen looked at other 6-cylinder projects for Audi during the early-70s to 80s aside from the narrow-angle VR6, apparently the inline-5 was derived from the Volkswagen EA827 and could have easily been made into a V10 (which later appeared in some distant form in the Lamborghini Gallardo) with Ferdinand Piëch wanting the V10 to be used in the Porsche 928. Had Volvo been in a better financial position instead of buying into the PRV V8 (later V6) project, they would have likely developed a V8 derived from the Slant-4 Volvo Redblock engine. The mid-front configuration means that the engine’s right up into the footwells. In the RHD 16 there’s barely room for my size 11s in the footwells, never mind a V6. Admittingly it would have been quite a task fitting the PRV V6 into the Renault 16. Volvo originally looked at the B36 V8 for the Volvo Philip prototype which you have mentioned, though they tried once more with the Volvo Redblock engine maybe with the Volvo B18 as well. It is also possible there was scope for the Volvo Modular engine to spawn a V8 variant. Cannot seem to find the books in question (let alone the obscure Volvo forum where I originally found out about the following), yet seem to recall mention being made elsewhere of Volvo developing their own possibly Redblock derived diesel engines prior to being forced to make do with Volkswagen and Renault diesels on the grounds of cost. There is a smattering of R16s (mostly TSs) still running here in Australia. They were quite popular in their day – petrolheads liked the 100mph cruising speed – possible due to no speed limits on our country roads at the time. I have an unrestored ,very original TS on Historic registration which is used regularly as a second car. It easily keeps up with modern traffic and handles and brakes well enough. I must admit that I have not seen another on the road for quite a while. I would like one with power steering (only needed for parking) and especially with airconditioning. My small car fan makes life bearable during our recent 40 degree plus days. And of course it is so much more comfortable compared to our late model VW Golf! Lucky you. I presume the dry climate helps the R16 stay in one piece. Thr more one looks into the car the more one sees a thoroughly appealing, clever and French machine. And in turn it’s frustrating they could not better endure the N European climate. I am from Ireland and while the chassis suits the lousy roads, the damp destroyed these cars. I have added the 16 to my test-drive wishlist. If you wish please feel free to post an image of your car. That grey R16 in the photographs is surely a model. Look at the parcel shelf hinges!